The Chopsticks-Fork Principle: A Memoir and Manual (paperback) from Amazon.com or click here to order it as an e-Book in Kindle format. To read an excerpt from The Chopsticks-Fork Principle click here. 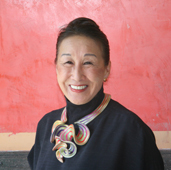 As philosopher, writer, and educational consultant, Cathy Bao Bean has presented a wide range of programs throughout the United States. Now, with the publication of her first book, Cathy welcomes the opportunity to speak at libraries, book stores, schools, and other organizations. Author Cathy Bao Bean will be teaching at the SVHE Summer Workshop for Teachers at University of International Business & Economics, Beijing. Please link here for more details. Cathy and co-author DongDong Chen invite you to learn more about The Chopsticks-Fork Principle X 2: A Bilingual Reader (English and Chinese Edition) -- a unique, bilingual, cross-cultural reader. Click here to order The Chopsticks-Fork Principle X 2: A Bilingual Reader (paperback only).